Rossa Lunga Di Firenze or ‘long red of Florence’ is an Allium fistulosum group onion that has a superb flavour and texture. They can grow quite large and the bases eventually swell up into a long torpedo shape. 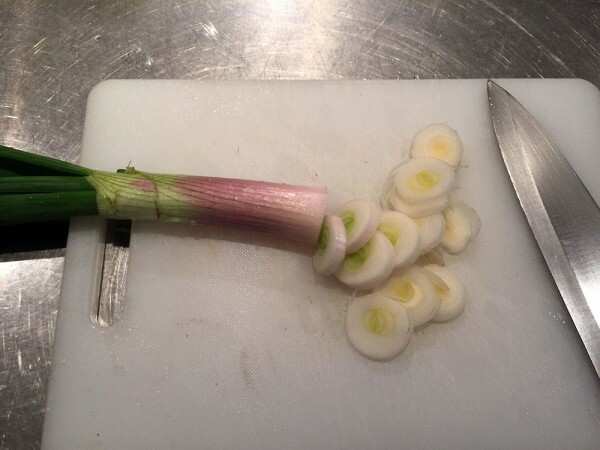 They usually actually have a distinct purple tinge rather than the bright red you can get on some fistulosum varieties like ‘Toga’ and they are a curvy torpedo shape rather than the pointy fat column you get on onions like the Red Tropea. 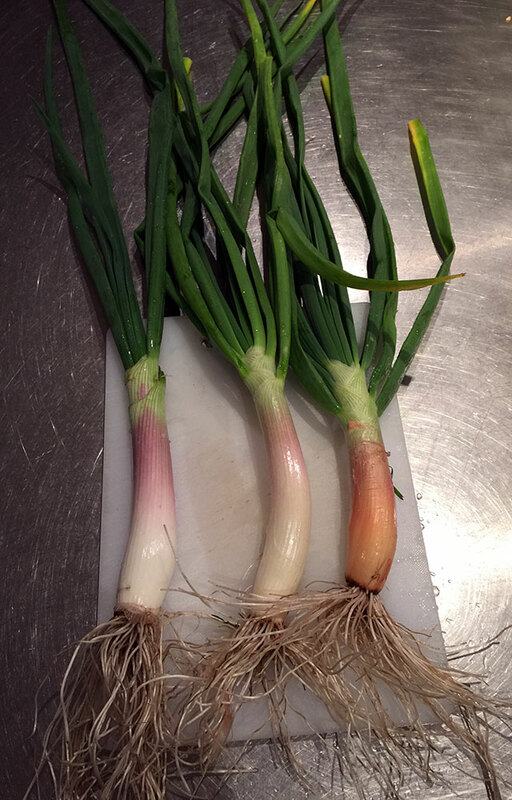 They can grow quite fast to a harvestable size but I find I get the best results when they have a long growing season and they get into that late winter period and bulb up like garlic as the weather warms up after a nice cold winter period. You can grow them as a harvest to order plant this way and have a very long harvest period – assuming you can spare the time and space. They like the usual onion conditions of lots of sun and a nice firm soil with plenty of water and food. You can tell if they are doing well by the size and colour of the leaves. The fistulosm group are quite narrow and compact in width and naturally ‘bunch’ so can be planted quite closely – even in a large pot they do well – but if you give them some space they will really excel in size of the base bulb. I like to mulch them a fair bit as they get bigger to help with keeping the bases nice and clean and free of environmental damage like sun burn and random animal and insect marks etc. It also helps keep the moisture levels higher at ground level. 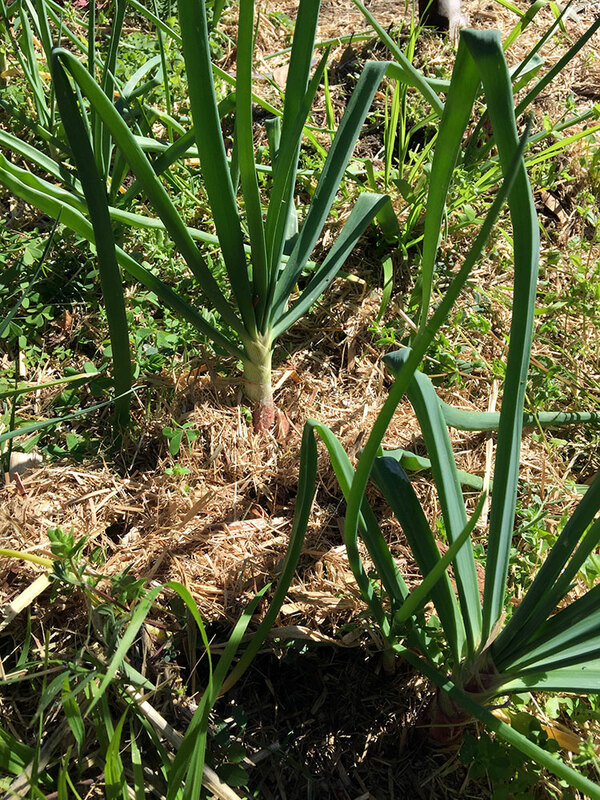 I leave a few bunches always growing of each onion variety to harvest leaves from and then collect the seed from each year. They grow easily as seedlings and germinate well and reliably through from late summer right through into early spring. The autumn and winter period is the best growing period I find with a slow down during the heat of summer when they flower and go into sleep mode a for a few weeks. You can keep them in seedling pots for a long time till you decide to plant out. Just keep them watered and in a sunny but not too warm spot. 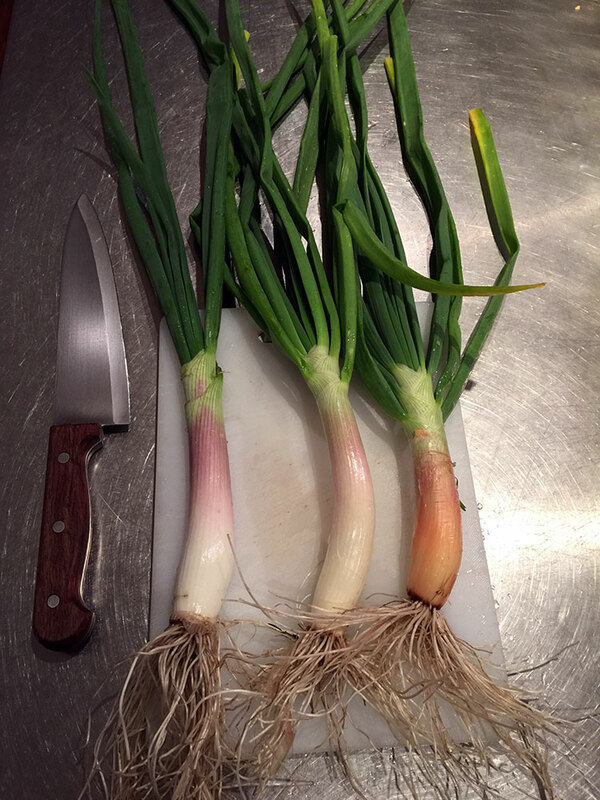 They’re a lot like a leek or shallot but more subtle in flavour. The bulb when it does form tends to be fairly dense but light flavoured. The leaf material is excellent for a variety of uses especially in salads and stir fry dishes. This one is worth trying!